Job interviews can be nerve-racking experiences. To overcome those job interview jitters, preparation and practice is key. Like any skill, the more time you spend preparing and practicing for job interviews, the better you will be. Here are 13 essential tips for becoming calm, confident and successful at job interviews! Before you begin to worry about your next job interview, make sure your resume/CV is in order. Not only should it be accurate and well written, it needs to work in conjunction with your job interview. Highlight items in your resume that you would like to talk about in the interview. Many potential employers will read your resume just before the interview, so it is fresh in their mind. Need help with creating an effective resume/CV? Check out our professional resume services. Before the interview, take the time to research the company and its work culture. If possible, talk to other employees at the company and ask them what management is looking for. Understanding the company’s work culture can also inform you about what to wear to the interview, what to talk about, and what questions to ask. They may be looking for innovative people who can work independently or they may be looking for people who excel in groups. By understanding the company, you can present yourself as the ideal candidate who suits their needs. Grooming matters in job interviews. You should walk into the interview looking well-dressed and professional. Be punctual and greet the interviewers with a big smile and firm handshake. Don’t walk into the room touching your tie, adjusting your dress or rubbing your nose. Walk in calmly and confidently, as if you were coming into a meeting to talk with work colleagues. You should also think about body language when talking to the interviewers. You shouldn’t fidget, touch your face, sit with arms folded, touch your hair, lean to one side or slouch in the chair. Sit up straight, maintain good eye contact and show interest in the questions that the interviewers are asking. Avoid wearing large amounts of cologne or jewelry. You want them to focus on your ability to perform your job – not the way you smell or your fashion accessories. It is important that you talk about the job requirements in the interview. Mention your proficiency at the job requirements and highlight your history of performing them successfully in other jobs. You may have to read between the lines and think about requirements they are looking for that were not listed in the job advertisement. Write down each job requirement and prepare responses that highlight your proficiency. When you are asked questions about job requirements, you should have simple canned responses prepared in advance. Be very attentive to the questions asked by the interviewer and answer them concisely. The worst thing you can do in an interview is to misunderstand a question, because it reflects very poorly on your communication skills. Be ready for the tough questions that are designed to give them insight into your personality and job performance. It might seem like a casual question about your relationship with your old boss, but they could be asking about how you work with superiors. What mistakes did your employer make at your last job? What role will you be in five years from now? Tell me about a mistake you made at work. Tell me about a conflict you had with a previous co-worker and how you resolved it. Talk about the biggest failure you had at your previous job and what you learned from it. Listen to the question, take a breath and try to understand what they are really asking you. Job interviews come in many forms and often they come as a surprise. You might attend a job interview and have no idea what is coming. It could be a single interviewer, a panel of interviewers or you could interview for the position over lunch. You might suddenly receive a phone call with interview questions or you might have to interview over the Internet. Panel interviews can be difficult because you have three or four people looking at you as you answer questions. If you struggle with these kinds of interviews, ask some friends or relatives to set up a mock interview that asks tough questions. If possible, ask the employer what kind of interview scenario you will be facing. There are some topics you should never discuss in an interview unless specifically asked to do so. Never talk negatively about your previous employer, don’t mention personal issues and don’t talk about money unless you are asked to. Don’t try to change your work hours or job requirements before you have the job. Never mention nasty gossip you heard about the business, workers at the business or competitors in the industry. Have some common sense about your answers and keep all answers positive. Even if you build up great rapport with the interviewer, always remember this is a professional environment. Use the appropriate language, don’t be too familiar with the interviewer and don’t start cracking inappropriate jokes. Don’t be arrogant, angry, petty, or display other personality traits that employers may view as negative. The interviewer is a potential work colleague so keep it professional. For some employers, a nervous or desperate employee might turn them off. Get to bed early the night before and have a healthy breakfast so you are bright and wide awake for the interview. You can perform some exercises in the morning before the interview, so you have endorphins lifting your mood. Music helps some people remain calm before job interviews. Practice deep breathing before the interview and arrive early to avoid the stress of rushing into the interview room. A failed job interview isn’t the end of the world. It’s a learning experience and you get to meet some new people. For some people, taking it less seriously helps them relax and perform well in the interview. Practice interviews are an essential part of job interview preparation that many people skip. You should practice multiple interview scenarios for panel interviews, individual interviews and phone interviews. Write down talking points for the common questions and do multiple practice interviews to improve your responses. Complete more practice interviews for new jobs which have unique job requirements. Are you interested in working with one of our career coaches to practice with mock interviews? Check out our coaching session options here. At the end of the interview, a job interviewer will usually ask if you have any questions for them. Avoid asking questions that have obvious answers or which you could have discovered in a few seconds on Google. Check out these 22 questions to ask a potential employer! What projects will I be assigned to if I get the job? What training opportunities do employees have? How is the company managing its recent growth? What are the traits of people who excel in your company’s work culture? Regardless of how the interview goes, a thank-you note is usually a good idea. It reinforces your interest in the position and puts you in better stead with the employer. If you don’t land this particular position, the employer is more likely to remember you for future roles. Need a thank-you note? Let us write one for you! Treat failed job interviews as a learning experience. Reflect on how the interview went – did you make a mistake at some point? Take as much positivity from the interview as possible. At least you got the interview; many candidates probably didn’t even make it that far! You can also contact the interviewer at a later date and ask them how to improve your interview. 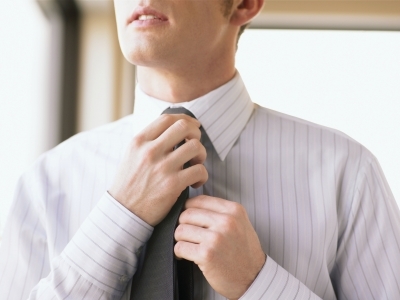 By following these guidelines, you are well on your way to having the perfect job interview. By staying positive and applying for many jobs, you will begin to find interviewing easy. Once you are confident about interviewing, a great job will be yours in no time.